Why a beginner gear guide for hikers? 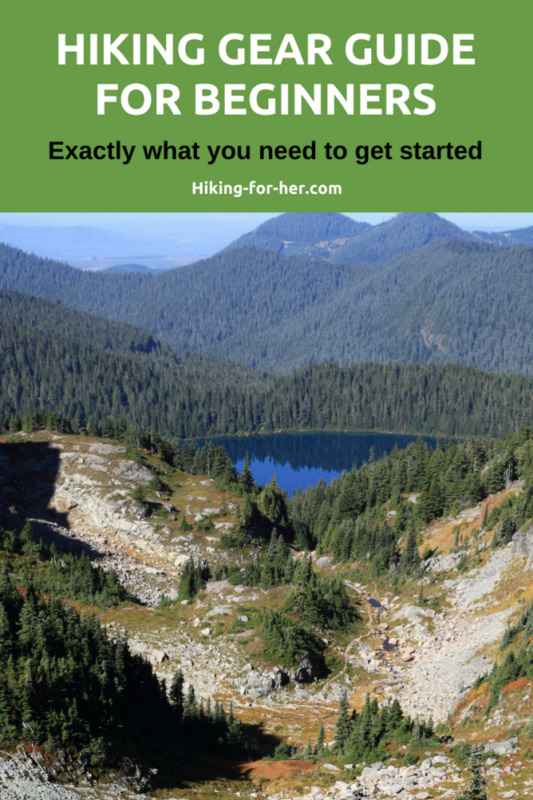 Many women ask Hiking For Her for advice about how to get started with buying the right hiking gear and clothing. 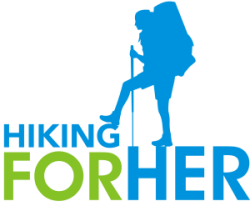 Others (guys, you know who you are) ask for recommendations for a great gift for a female hiker. So I'm guessing that since you're here, you also might find a basic gear guide useful. Let's sit down together right now and take a look through this beginner gear guide. Putting you (or someone you love) onto the trail in comfort, confidence and style! And because I have trusted REI gear co-op for my own outdoor gear purchases since 1977 (not a typo! ), it makes sense to do our shopping there. Disclosure: If you make a purchase through the links in this guide, Hiking For Her will receive a small percentage of your purchase price. This costs you nothing extra, while enabling more free hiking tips on this website to be shared with women throughout the world. Detailed product descriptions and reviews are readily available to help you evaluate each piece of gear. Excellent customer service and return policies make it easy to get your hiking gear list (or gift) just right. It's a lot of fun to browse through your options, knowing that only quality brands and well designed gear are offered. Hiking For Her's five decades of trail experience, using hiking gear from REI under all sorts of conditions, also makes this gear guide a fast, reliable way to select the best choices for your hikes. But first, a bit of problem solving. Select gear that works well with your body, to give yourself the best chance of enjoying your hikes. Invest a reasonable amount of money in that gear, without under or over buying. Is it possible to be successful in solving both problems? Everything in this beginner gear guide is something I own or have tried on the trail and am confident will work well for you. Each category of hiking gear will have at least two choices for you to consider. This allows you to allocate your budget to what's most important to you - and what serves you best - for the type of hiking you want to try. Avoid overwhelm by targeting your selection to Hiking For Her's top choices in each category. The bright blue boxes will help you navigate to exactly what you're looking for. Prices may vary from what is shown on this page, depending on REI sales and seasonal close outs. What to put on your feet? Hiking is much different than strolling through a park or walking your dog. If you are starting to hike on flat, well maintained trails, a pair of trail shoes is a perfect way to ease your feet into things. But I also love the support and stability of full size hiking boots, like these KEENs. None of the KEEN choices requires a "breaking in" period. They're comfortable right out of the box! For a complete list of recommendations for the best beginner hiking boots and trail shoes, read this. Two pairs of socks, or just one? 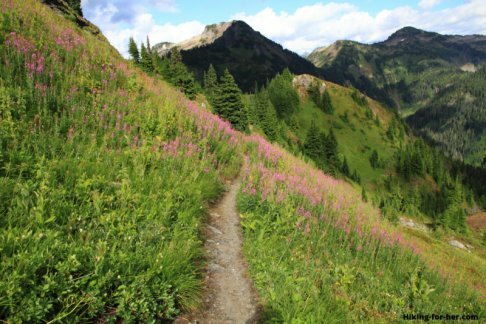 Far too many hikers are taken off the trail because of foot problems, and I don't want that to happen to you. Trail shoes pair well with lightweight, thinner hiking socks. Hiking boots like the Keen pair you just saw? It's smart to use a thicker pair of outer socks. SmartWool is a company that has been making hiking feet happy for many years, including mine. This lower cut sock has more cushioning, for cooler weather hiking. Technical socks like these might seem expensive at first glance. But remember, taking good care of your feet is your top priority, so don't under-buy on your hiking socks. You will come to appreciate their durability, protection, and quality workmanship on the trail. Boot wearers need liner socks, too. The goal: to wick away your sweat and keep your feet from sliding around in your boots, thus reducing the possibility of blisters. Now that we've got your feet covered (literally), let's turn our attention to outdoor clothing suitable for hiking women. Moisture wicking, UV blocking fabrics are your friend. Versatile clothing in a layering system will take you through three seasons of trail hiking with ease. The good news about that short list? It's really easy to find appropriate hiking clothing at all kinds of price points. Not all of it works well (together) for hiking women. So let's design a great hiking clothing layering system from the inside out, using my two rules: the right fabrics, used in layers. We begin with the top base layer, and for women hikers, that means a supportive, comfortable sports bra. As you hike, your breast tissue needs a supportive sports bra made of moisture wicking material. Otherwise, you run the risk of chafing, pinching and binding. Workout sports bras that you already own may do the trick. But after a hike or two you might realize that the combo of bra plus backpack calls for a hiking specific solution. A well designed sports bra also eliminates the need for wearing two flimsy ones a time. Trail hiking is considered a medium impact workout, but I'd recommend that you err on the side of high impact if you're well endowed. Don't toss your sports bras in the dryer. The high heat shortens their lifespan. What about the bottom base layer? What you wear when you're not hiking probably won't make a smooth transition onto the trail. Thongs, for example, lead to bunching and twisting problems that force you to break out of your trail rhythm. Slippery fabrics like nylon, with a cotton panel, can work well with your mid layer bottom choices (coming up: shorts, tights and pants). But as you sweat, they trap moisture against your skin. Quick dry fabrics that soak up sweat but don't stay cold and clammy (cotton, we're giving you the evil eye here) are a great choice when hiking in variable weather patterns during spring and fall. Can they pass for a two piece swimsuit? Do they provide modesty when soaking wet? Now we're transitioning into the mid layer of our layering system in this beginner gear guide. Because I'm not sitting right beside you in person, I can't ask what season you plan to start hiking. So to cover all the possibilities of your trail time, here are two different sleeve and neckline options for you - from companies that get this whole mid layer thing right. I have been known to layer them when heading out for a cool weather hike, knowing I have the ability to respond to improving trail conditions by removing one or the other. Some women really like the versatility of zip off hiking pants, like these. I count myself among them! If convertible pants are too trail-ish for you as you begin to transition into the hiking lifestyle, how about these? You can wear them any time and no one will know they're trail pants! Shorts are an obviously good choice for warm weather hiking. But be sure to choose breathable fabric, not heavy denim or moisture hogging cotton. Select shorts with the coverage you'll need when you're hiking uphill. And give you protection against abrasive boulders at your lunch spot. These hiking shorts do the job! Just select the length you like. Don't overlook how shorts can be used for shoulder season hikes (cool spring and fall weather). Here's where you can wander into some pricey neighborhoods. Lots of technical jackets have features you don't need yet - so why pay for them? For now, you should carry a rain repellent jacket (shell) that zips up and provides a hood, at least one pocket, as well as a sturdy zipper. This one is available in plus sizes. Layering tip: Just add another mid layer like a vest under your jacket if you're going to be hiking in cool spring and fall temperatures. Or double up on your shirts, as noted above. Be sure the hiking jacket you choose can accommodate additional layers without making you feel like a stuffed sausage. I routinely go up one size, for this reason. I would be surprised if you haven't seen the infamous list of stuff that every hiker (yes, even you as a newbie!) should carry for your own safety and well being. But just in case, here's the Hiking For Her version. Note that extra clothing, such as your jacket, counts as an essential. Now let's quickly cover a few other lightweight, versatile and inexpensive Ten Essentials to stow in your backpack. As always, we will focus this beginner gear guide on the fundamentals: your well being and safety on the trail. Essentials keep you in top shape to enjoy the trail! Your hydration level becomes very important on the trail, so drink at least once per hour during a hike. To make this easy to remember, carry an inexpensive but durable water bottle in an outer pocket on your backpack. Do travel tips belong in a beginner gear guide? Carry a collapsible water bottle like that when you travel. Just roll it up and stash it easily in a pocket or purse until you have access to water in the airport terminal. Just in case you get delayed on the trail, carry an illumination device in an outer pocket of your backpack. Either of these headlamps are a good choice, because you get a lot of brightness without a lot of weight or cost. And you can keep your hands free for trekking poles or map reading, too. You might also find yourself using your headlamp for chores around the house. Staying with the theme of illumination, another essential item is a way to protect your eyes during strong sunlight hours. If you don't already wear sunglasses for outdoor activities, consider how much sun exposure your corneas receive during a long sunny day hike. You want UV-A and UV-B protection via polarized lenses, and comfort, too. Were you expecting that our beginner gear guide would start with the best backpacks? In reality, a backpack is merely a transport unit for your ten essentials. So while it's important, your choice of a beginner backpack is not as important as what you're wearing. Which is why we covered footwear and clothing first in this beginner gear guide. Here's a big heads up! There are many ways that choosing your first backpack can go wrong. And as with trail footwear, if the pack doesn't seem to fit right away, it might drive you away from this AMAZING sport of hiking. So let's be careful to focus your attention on backpacks that will treat you right from your very first step on the trail. You don't need a lot of volume for your clothing, lunch and essentials, so start out with a pack in the range of 20 - 26 liters, like these. You want comfort. You have curves and extra bits (hurrah for us women!) that need a woman-specific backpack design. Don't weigh yourself down with a backpack that's too heavy even before you start loading it. As a beginner, you can skip some of the features that harder terrain requires, and do just fine on the trail. I own several day packs from both of these companies, and have never been disappointed with fit, function and performance. Treat your feet like divas. Choose clothing that breathes with you as it layers. Wear a women's backpack just big enough to carry essentials. That was easy, wasn't it! Thanks for letting me be your guide to beginner hiking gear today. You can read lots more about each of the gear categories introduced in this beginner gear guide by popping a word like "backpack" or "socks" into the bright green search area below. I've got a lot to say about keeping you safe and comfy on the trail! Or you can contact me, and we can get those questions answered pronto. Here's to a successful first season of hiking! Hiking For Her only recommends what works. When you make a purchase from the links on this website, HFH may receive a small amount of your purchase price. But you pay nothing extra. So you get great advice, high quality gear from a trusted merchant, and the pleasure of hiking, while HFH can keep cranking out gear advice.